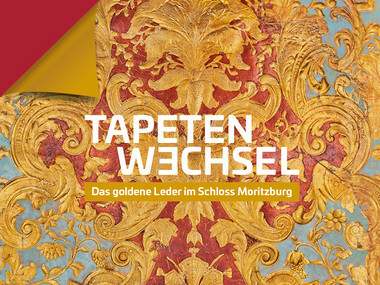 From the 22 03 2019 till 03 11 2019 runs the exhebition ” Tapeten Wechsel” in Schloss Mortizburg. We at Lutson were asked to participate by showing some of gilt leather panels from our collection. Honored and proud ! I hope to show pictures form this exhibition in a later posting as I will not be attending the vernissage. Gilt Leather in Old Master Paintings – but not only ! Gillis van Tilborgh the Younger, born in Brussels 1625. He is famous for his genre paintings, interior scenes and portraits. The “Vlaamsche Kamer” (Flemish room) could be compared to a parlour. In these important houses they were often oak paneled rooms some combined the oak paneling with gild leather tapestries between dado and corniche other rooms were lined with gilt leather tapestries from plinth to corniche, for some of his paintings this setting was chosen. Jan Siberechts a contemporary and friend of Gillis van Tilborgh has a reputation as a landscapes painter but as accomplished master he is a great portraitist too. Is 2018 the end of craftsmanship in Belgium, or just the beginning? Every craft requires time and precision, an able hand and a good eye. It is this human definition of craftsmanship that binds it so closely to the culture of a people and a place. In 2015, the UK launched The Radcliffe Red List, an investigation into the country’s endangered crafts, identifying which professions had already or were at risk of disappearing. The list revealed that it is no longer possible to have a cricket ball handmade in Britain, and that there are only five people left in the country trained in making saws. If Belgium were to do the same, what would we discover? Belgium has a rich tradition of craftsmanship, from medieval abbots collecting hops and brewing huge cauldrons of beer, to the lace makers of Flanders, who you can still watch at their tables threading hundreds of needles a day. These crafts play a central role in the country’s national heritage. Some are thriving and attract thousands of tourists to Belgium each year; in 2016, UNESCO added Belgian beer to its list of the Intangible Cultural Heritage of Humanity. Yet others are teetering on the edge of extinction. In Oostduinkerke, on the South West coast of Belgium, shrimp fishermen have been trawling the sea on horseback for over 500 years. Even today they are an unmistakeable sight on Oostduinkerke’s shores, wrapped in their yellow oilskin suits and wide-brimmed rain hats, being carried out into the waves by sturdy Brabant horses. The trade is time-consuming, labour-intensive and does not make a profit. The local tourist board supports the fishermen by providing free stables and pastures for the horses. Why then do the paardenvissers persevere? Eddy d’Hulster was taught to fish on horseback by his father, and he, by his father before him. He has been riding the shores of Oostduinkerke with his net for decades. He admits: “It’s not possible to make a living solely from fishing. It’s a passion not a profession. What keeps us men (and women) going is our love of the horse and our love of the sea. Being a fisherman is in our heart, our soul and our blood.” The unique sight of the yellow-suited, wellington-booted fishermen has begun to attract increasing numbers of tourists to Oostduinkerke, and the paardenvissers now supplement their income by performing demonstrations for curious visitors. It is true that the viability of certain crafts as thriving industries is long since dead and gone. We’re unlikely to see a blossoming surge in the need for paper marblers (of whom Belgium used to boast a significant population). However, other professions are managing not only to survive, but to thrive, by resurrecting themselves in new forms. Realising that his work was soon to be relegated to the shelves of museum exhibits, a Brussels blacksmith decided to rekindle the fire of Belgium’s forges by reinventing the craft as a social activity. His organisation, IJzer en Vuur (Iron and Fire), organises demonstrations, exhibitions and workshops designed to help people rediscover the art of blacksmithing. Michel Mouton, a Brussels blacksmith, set up the organisation IJzer en Vuur (Iron and Fire), which organises demonstrations, exhibitions and workshops designed to help people rediscover the art of blacksmithing. Belgium’s craftsmen are not merely preserving traditional crafts, they are also bringing them back to life. Frederic Poppe, Lutgarde De Paepe and their daughter, Geraldine, all born and raised in Ghent, are refounding the art of gilt leatherwork in Belgium. Of all the opulent fashions popular in the 16th-18th centuries, gilt leather was one of the most expensive. Kings, queens, dukes and barons would vie to have the most rooms covered in these dazzlingly embossed leather hangings. Now Frederic and his family custom-make gilt leather items for clients across the world, from upholstered chairs for the Metropolitan Museum of Art to couture garments for Versace’s catwalk shows. Their company, Lutson Goudleder, is one of only five in the world still making these exquisite leather designs. In the 16th-18th centuries, gilt leather was one of the most expensive and sought after products. A family from Ghent has brought this art form back to life. From Verviers’ master gun engraver, Roland Baptiste, who has spent over 20 years embellishing firearms with his intricate designs, to Angel Barrero, expert in the arts of stucco-marble and Scagliola, Belgium’s workshops still buzz with the sounds of chisels, needles and easels of talented artisans at work – if you just know where to look. Are these crafts viable professions by modern standards? No, possibly not. But we often forget that the origins of the word “profession” can be traced back to the Latin profiteri (to declare openly). A profession is something that you are proud to publically declare as your occupation. Just as monks profess their vows when entering religious orders, these craftsmen are willing to dedicate their lives to their chosen profession. That is something we should protect. The answer most of these craftsmen seem to have found to the question “How you can make money?” is by passing on the legacy. Almost all complement their trade with workshops, master classes and demonstrations that are necessary both to sustain their own livelihoods and to convince others of the need to keep these professions alive. After all, at a dinner party wouldn’t you rather profess to be a horseback shrimp fisherman than a pension fund manager? Thank you for this article in which you describe the condition of craftsmanship today. What about the longer term, would you be able to write this same article in 2028 ? who will tell ? However optimistic a person I am all of a sudden I become realistic which is depressingly close to pessimistic. Yet, I see lots of interest for the crafts at the level of hobbies and note that many of these amateur craftsman (women) are highly skilled and produce quality objects. Perhaps the question is more “how” will the crafts survive rather than”If” they will survive. As a small business I think it will not survive. As part of a group, eventually. As Long as humans will be humans they will want to do things, master techniques, touch, work with raw materials, to create, to express themselves. Once more our UK distributor Tatiana Tafur Ltd is a the origin of an interesting order. This time it involves a Marot panel we made decades ago and which Tatiana Tafur had in their London showroom. The client wishes to see some changes done 1) The panel needs to be muted so we work the antiquing 2) Greens need to be more emerald green…… okay done 3) All reds need to be deep burgundy…… taken care of 4) Finally he wishes to see the silvered inside-panels to be slightly darker which we tried to achieve perhaps with a disputable result as one needs to look closely. Some more details of this new panel which we ate Lutson like a lot. At Lutson bespoke orders are welcome. In European mythology, the word dragon derives from two separate Greek words. One word means “a huge serpent or snake” and the other means “I see clearly”. Dragons in European traditions have wings, allowing them to soar freely above, resulting in a perspective that encompasses a huge panorama below. In this context, dragons can be thought to symbolize the ability to see the “big picture” as well as the ability to see far off danger or future circumstances. European dragons are fire spitting evil forces. Chinese or Feng shui dragons on the other hand are exuberant, playful, beneficent creatures that live on land as well as in water and in the air. They are associated with spring rains and water and are symbols of abundant life, strength, fertility, and prosperity. Myths change over time. Oral traditions were not there only, to reproduce the exact tales told by the ancients. They were a basis for talented storytellers to catch the attention of an audience and storytellers have fantasy thus myths muted, stories changed and our perception on a subject or personage changed too. If there must still be storytellers around the campfire, the main stories are told on media and travel the world in seconds, if the story is well told it is imprinted in our minds in its new updated from. I don’t doubt the influence of series like Game of Thrones, and the influence they had on our perception of dragons I believe there will be a before and and after. In Game of Thrones dragons are massive, flying reptiles that can breathe fire onto their enemies and cook their food with the same flame. They are rumored to have a strong connection to magic which seems to be proven true when magic begins to return to the world after the birth of the first three in over two hundred years. Dragons possess awesome and devastating power, capable of laying waste to armies and burning entire cities to ashes. Men who were able to tame and ride dragons as beasts of war used them to burn their enemies and forge vast empires across the continents. At Lutson we breed Dragons since many years, Lutson Dragons are European dragons in their physical appearance. Our Dragons are exclusively female and are a magical mix of the European and the Chinese Dragons they are winged and spit water producing flowers and abundant life. The Dragon panel is a reproduction of a mid 18th century Flemish design. In our collection we have a 17th century panel in which a tiny dragon sits on a branch, innocent and cute. These last years this design was selected by several Designers: Designers being what the are asked for bespoke and contemporary interpretations of this traditional panel. If you are brave enough to scroll through the blog you will see some of these Moncla panels. Lut’s gilt leather fountain pen case. Clumsy sewing with cord by yours truly. If you have gilt leather cuttings, use them ! Megayacht Reverie was build in year 2000, built by Benetti, with a length of 70 meter a beam of 12,5m and her seven decks, Reverie, the ultimate mega luxury motor yacht is the largest yacht built in Italy in the last fifteen years. This fabulous vessel of 1500 tons combines the space of a cruising ship with the richness and luxury of a magnificent megayacht. The interior design and decor were entrusted to the famous English designer John Munford, who proposed classic furnishing in dark mahogany and walnut. The furniture is in Regency and Imperial English style with vaulted ceilings showing fresco paintings. Columns, pilasters and capitals with floral design have been widely used, as well as a profusion of exclusive marbles. Every single detail has been carefully selected in order to make this yacht a very exclusive and unique vessel. Reverie eventually was sold and re-baptized Freedom and here you got the explanation for the title of this posting. A view of the yacht in a bay of an Italian town (?) I’m aware that the perspective is in the advantage of the yacht, nevertheless it looks impressive. This is the only picture of the dining room I could find online. At the far end one can see the gilt leather, above the dado rail you see Verentuil panels, under the dado rail you will note the Lauderdale panels with their characteristic lozenge design. This is not all, framing the elaborated ceiling just before the mahogany cornice you will recognize Marot Borders in a Gilded & Cream version.